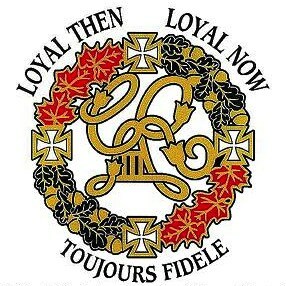 We are one of 28 branches of the United Empire Loyalist Association of Canada (UELAC). The geographic area of our interest is mainly southern Alberta. 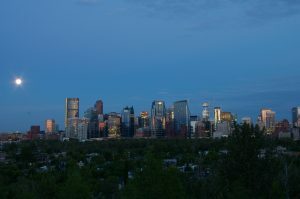 The branch was formed in 1928 after Lewis Frederick Clarry K. C. moved to Calgary from Edmonton, where he was a founding member of the original branch there. Our members are interested in the Loyalist era and descendants of those who left the United States after the American Revolution due to their adherence to the Unity of the Empire and support of British forces between 1776 and 1784.
Who are the United Empire Loyalists? The Loyalists were people who remained loyal to the Crown during the American Revolution. They represented a variety of ethnic groups, religions and occupations. Because of their loyalty and their respect for law and order, many Loyalists were imprisoned, died or had their property confiscated. Since Alberta became a province in 1905 and major settlement started after and during the railroad construction, Loyalist descendants have relocated from the original family settlement area in Nova Scotia, New Brunswick, Upper and Lower Canada and other areas of eastern Canada. Loyalists left the American colonies to settle in the Maritimes, Quebec and what it now Ontario. Many also went to England and the West Indies and Bermuda. There were a number Loyalist Regiments that they served in. Thank you for visiting our new website. We look forward to sharing our rich history with you, and welcoming Loyalist descendants, friends, and family as new members.